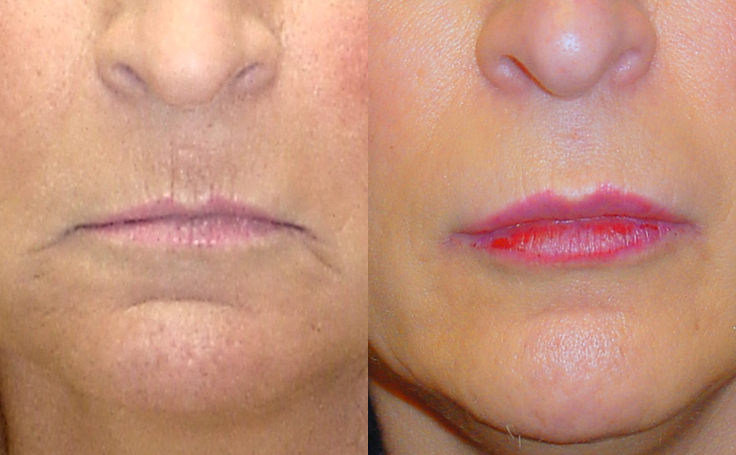 Before having the Lip Lift procedure, this female patient seemed to have a unhappy expression on her face. 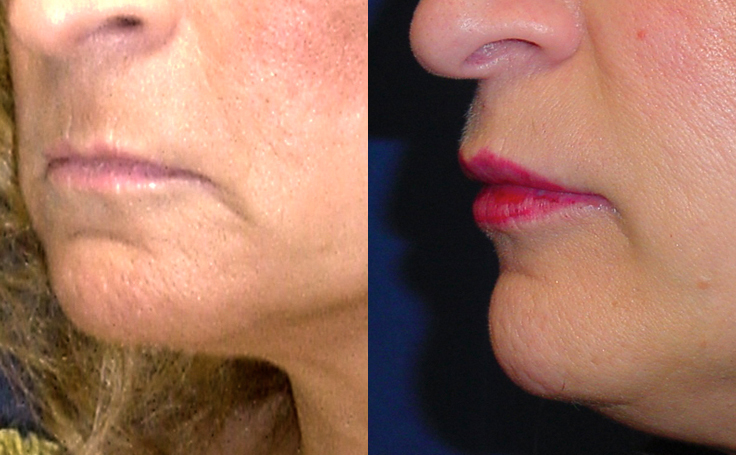 The Lip Lift changed the shape of her mouth to give her a natural, relaxed pleasant expression. 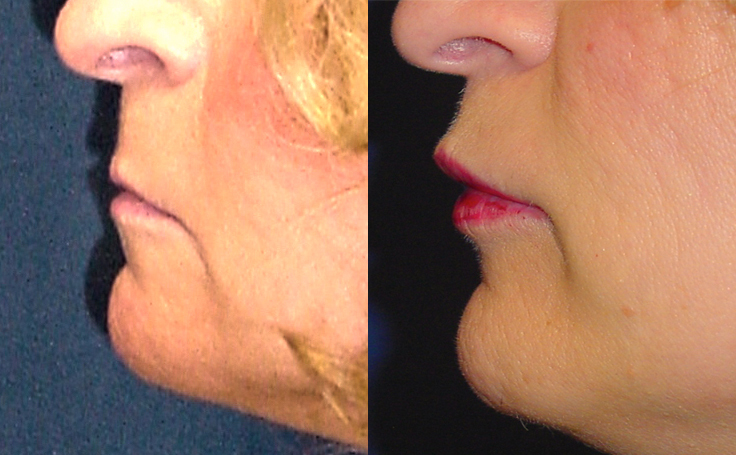 For the Lip Lift procedure, a small amount of skin is removed to shorten the space above the upper lip. The skin is removed from the base of the nose, and the area above the lip is shortened. In this female patient, the lifting of the upper lip completely changed her facial expression so that she no longer looks sad or angry. The Lip Lift procedure is performed under Local anesthesia in my office, and takes approximately 1 1/2 hour to perform. If you live out of town, you may go home the next day. To read more about the technical description of the Lip Lift procedure, please read this blog post explaining how this procedure should be performed.